Born in Salinas, California, the site of all great Steinbeck's greatest novels, Slim is, in and of herself, a fantastic story. From a very humble background, Slim elevated herself via a chance foray into Hollywood. Befriending many a handsome actor-- including, Cary Grant and Clark Gable-- Slim was very popular. Slim also had a great friendship with author Ernest Hemingway. In fact, in the wake of her first divorce, she spent time in Havana with him. Coincidentally, during the same trip, she met her future husband, Leland Hayward. After a long marriage to Hayward, Slim was betrayed by her close friend Pamela Churchill whom she had met in her late 20s. Hayward and Churchill engaged in an illicit affair, and married soon after Slim and Hayward's divorce. 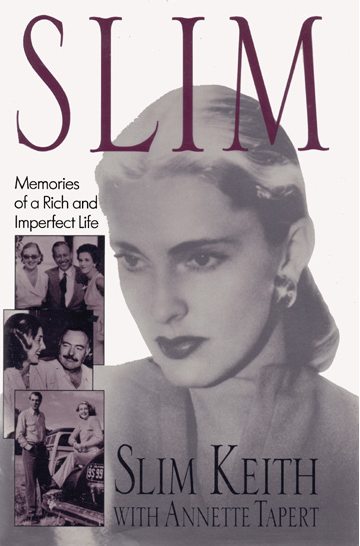 We recommend Slim's autobiography "Slim: Memories of a Rich and Imperfect Life". Her style defined her... and us! Designers like Roland Mouret, Oscar De La Renta and Miu Miu claim Slim as a fashion inspiration and continue to channel her grace and poise in current lines. Check out our picks for Slim inspired designer-wear!